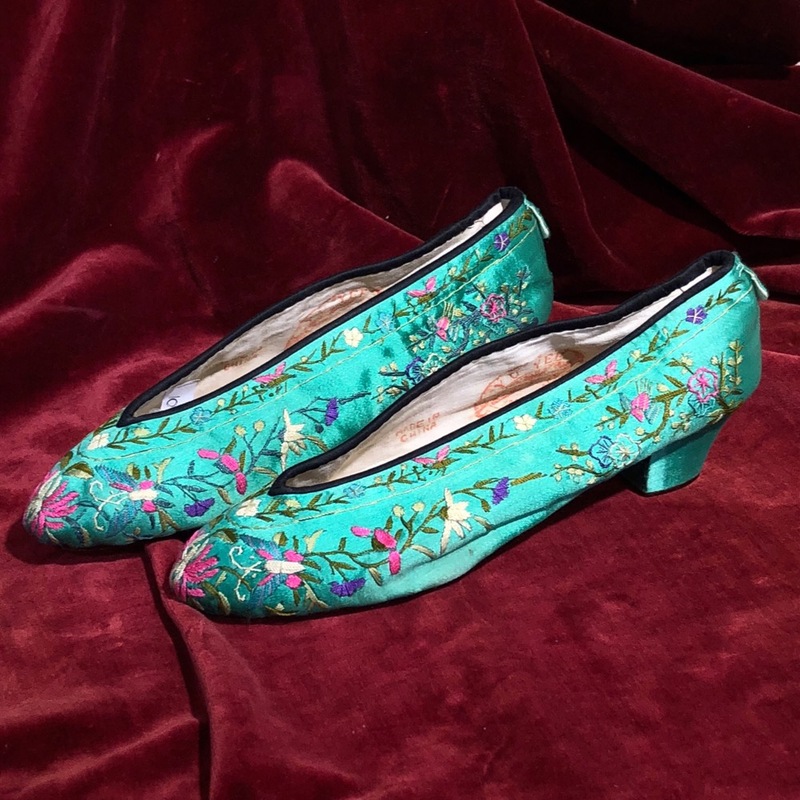 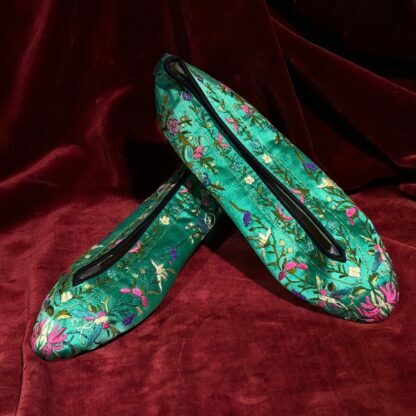 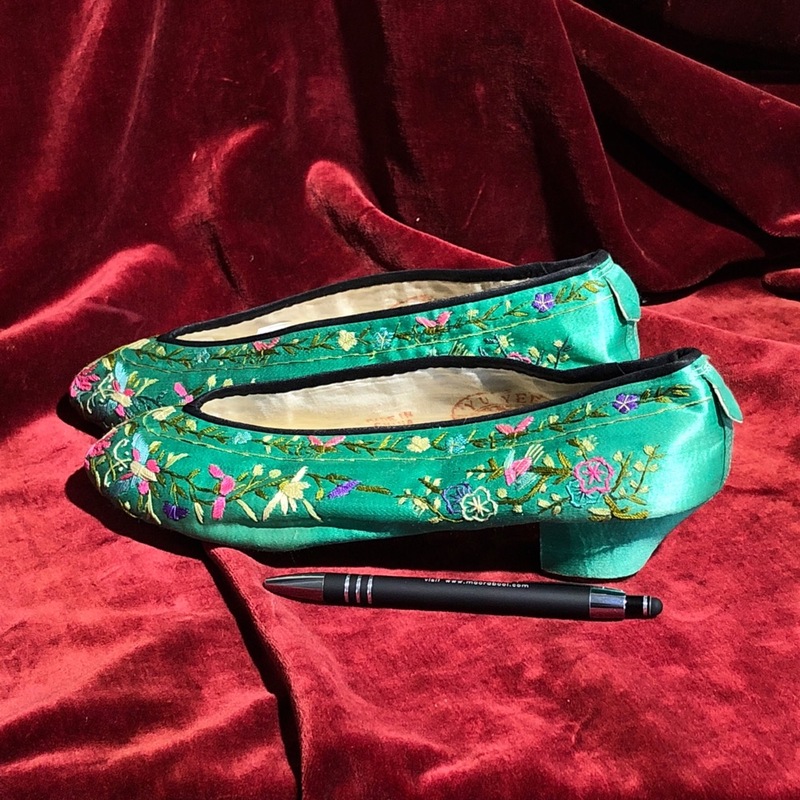 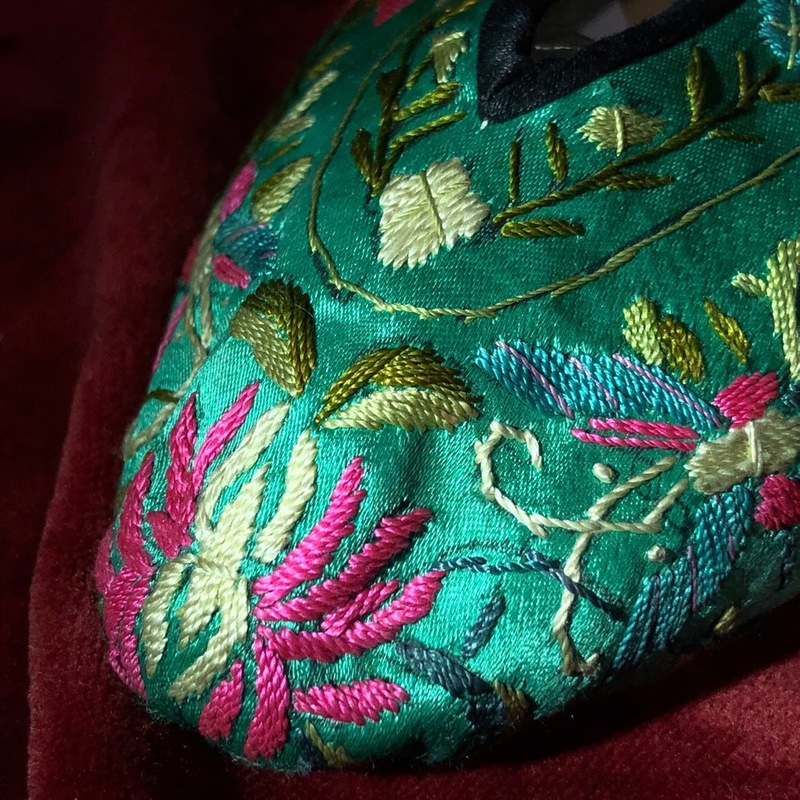 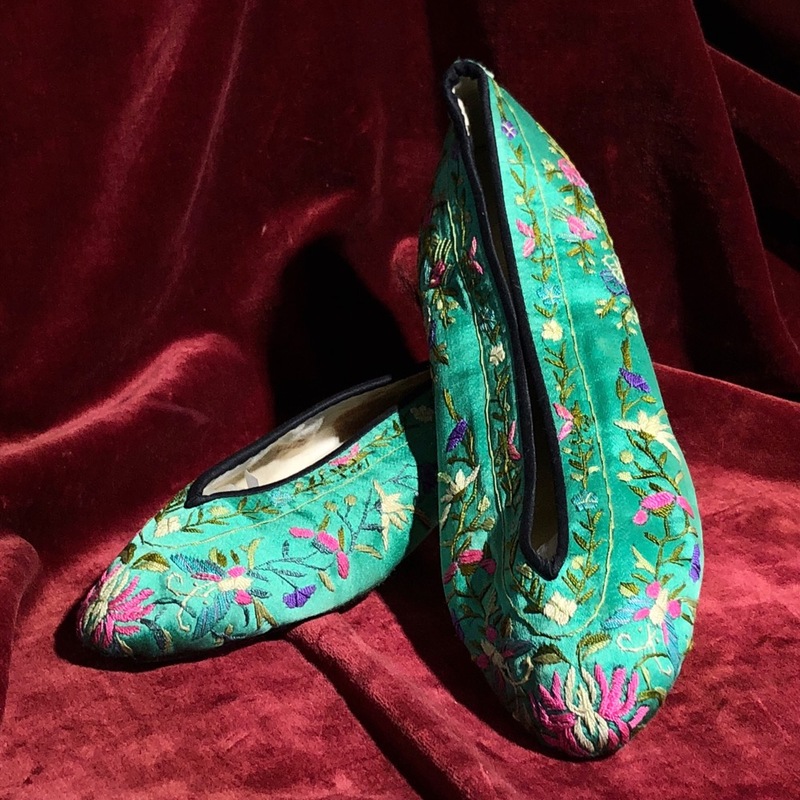 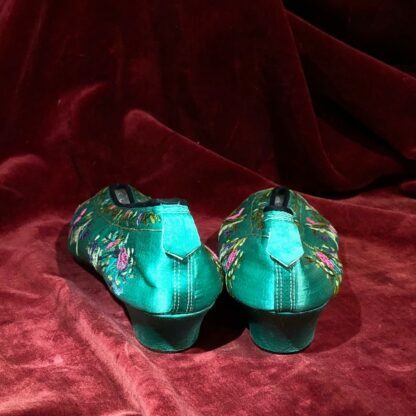 Pair of green silk flower embroidered shoes, the brilliant green with colourful flowers and butterflies. 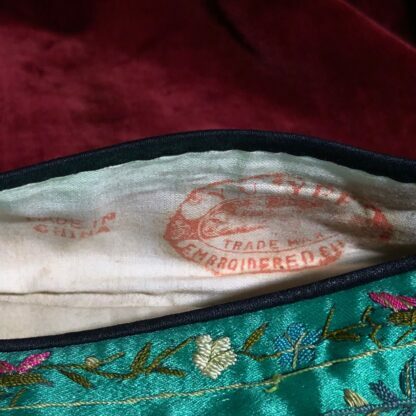 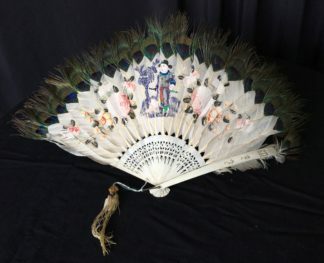 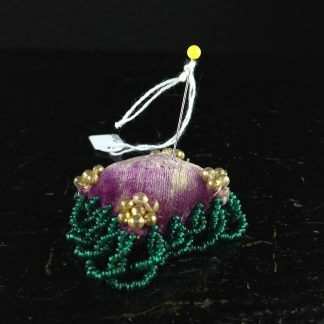 Marked inside ‘Yu Yee / trade mark / embroidered shop / No. 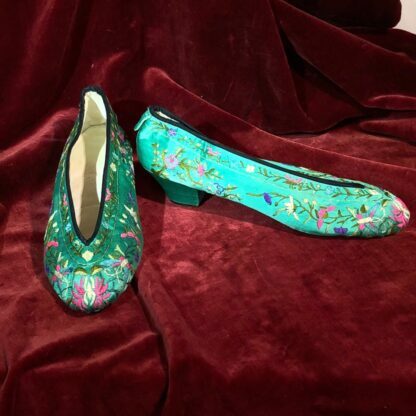 4 Meelun Street Hong Kong’. 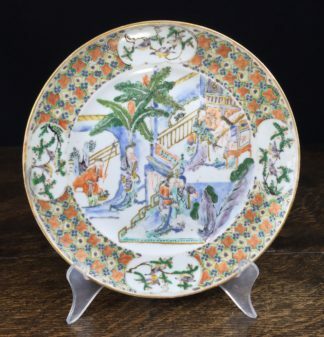 Chinese export plate, ‘Western Chamber’ scene, Qianglong period c.1760 .